When timing your trip with the season you’ve got two main choices: dry season or rainy season. There are pros and cons to each, so if you’re flexible it’s worth trying to coincide your visit with the most appropriate time of year for your group. That said, the weather in Cusco and the surrounding region can be unpredictable to say the least. Use the following information and weather forecasts to get a reasonable idea of how the weather should behave, but be prepared for surprises! The region’s dry(er) season runs from April through November. Skies are mostly clear and free from heavy cloud and mist, and the likelihood of intense rain is low–although still entirely possible! The obvious advantage is that the trails are firmer underfoot, and views are less obscured by cloud. Another important but often overlooked advantage is increased reliability of transport connections and roads remaining open. The downside to the more agreeable climate is that it brings heavy demand, particularly for the most popular months between June and August. Traveling during this period necessitates early bookings and advance reservations, particularly when securing the all important Inca Trail permits. Don’t be fooled by the name–dry season can still be very wet and, since temperatures are usually lower, this can mean snow at altitude. Come prepared! Many travelers will write off rainy season completely. With heavy average rainfall (after all, Machu Picchu is located at the edge of the world’s largest rainforest) adding wet gear and muddy trails to the hard slog of a high-altitude trek can seem like more pain than it’s worth. But it’s not always that clear-cut. Yes, there will be more precipitation but the rainfall is rarely disruptive. There will be heavier cloud cover but it’s the wisps of fog over Machu Picchu that make the classic postcard shot. And then there’s the dramatically lower footfall during this period–incomparably quiet compared to peak season with lower prices and higher availability to match. There are ways to mitigate the risks. 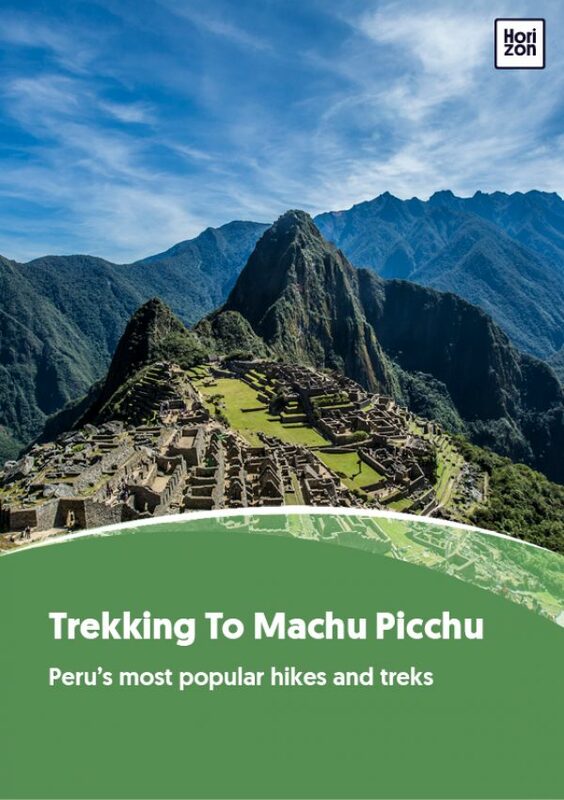 Add a few days buffer in case your itinerary gets disrupted and give yourself two full days to visit Machu Picchu, just in case visibility is poor on the first go round. Use common sense with your packing list–you probably want to bring gaiters, waterproof boots, rain pants and hiking poles whatever the time of year, during rainy season they’re essential items. Most importantly, travel with comprehensive insurance to cover delays or disruptions to your travel plan. It’s rare but not unheard of for roads to be blocked and transport links to be cut during the heaviest downpours. Nighttime is another matter entirely. Dry season / winter nights can get very cold, easily dropping to freezing point especially at altitude. For many, the ideal “goldilocks” zones are around early May and late September when nights are a bit warmer but you’ll still have a good chance of staying dry. These are also outside of the peak season so the trails and Machu Picchu itself will be that bit quieter. Can You Trek To Machu Picchu With Kids? There’s no reason the vast majority of younger travellers can’t enjoy a trekking trip in Peru, provided you follow some common sense preparation. All responsible operators have a minimum age policy which will depend on the hike or trek, usually between 8 and 12 years old. These are not short strolls and they require a good amount of stamina to complete. In most cases you will be hiking in remote areas of the country without car service. Once committed, it will not be easy to turn around, nor will you be able to cut a day of hiking short if the kids are tired. Plenty of time to acclimatise before heading out is key. Aside from the Inca Trail, there will usually be the possibility of using a horse for at least part of the way. Keep in mind the horse is an “emergency” horse in case of serious injury or accident, and shouldn’t be relied upon for completing the trek. It may be a good idea to request an additional horse when trekking with kids. You have the option of booking a private trek for your group, or trekking with other people in a larger group. Aside from the cost implications there are pros and cons to both, especially when factoring in younger travellers. There’s immense pleasure to be found in meeting and trekking with new people–after several days supporting and coaxing each other along the way you’ll feel like lifelong friends. On the other hand a private group means more flexibility and fewer worries about holding anyone else up. It’s a decision you’ll need to make for your own group and preferences. Any adventure activity in an unpredictable climate demands careful preparation and sensible packing. Use the climate advice above as a guide but be prepared for rapid changes in weather and hiking conditions. Check what camping equipment is provided by your operator. Tents and foam mats are usually provided, but you’ll probably need to bring your own sleeping bag–a three season rating is recommended. Some operators will rent these, check when you book. Backpack to carry all your gear: Depending on the trek this may be carried by porter or horse. There may be weight restrictions. You can leave excess baggage with your operator HQ in Cusco. Waterproof backpack cover: Essential during rainy season. Daypack: This is what you’ll carry yourself while hiking–layers, snacks, water, camera, etc. Hiking boots: Quality boots for uneven, rocky and sometimes slippery surfaces. Be sure to wear them in before you start hiking. Hiking socks: Four pairs of synthetic or wool hiking socks. Waterproof, breathable rain jacket (Gore-Tex or similar). Waterproof rain pants for rainy season. Synthetic or wool (no cotton), long-sleeve top. Warm hat: Beanie or similar. Sleeping Bag: Synthetic or down sleeping bag. Two waterproof compression sacks, one for your sleeping bag, the other to fit your extra layers. Sleeping pad: Closed-cell foam pad or inflatable air mattress. Heavyweight synthetic top: For staying warm around camp. Thick fleece or wool gloves. Sandals: For around camp and crossing streams and rivers. Sacred socks: Heavy, warm pair of socks to put on at night. Keep dry at all costs! Hiking poles: Important–metal tipped poles are not allowed on the Inca Trail. Whatever trail you choose, hiking or trekking to Machu Picchu is a vigorous endeavour that should be treated with the respect it deserves. That said, thousands of people–of all ages and ability–complete these treks each year. There are no special skills required, just determination and thorough preparation. You don’t need to be exceptionally fit and strong to complete a trek–moderate fitness is fine, although it won’t hurt to prepare with some cardio exercise in the weeks and months before you travel. By far the most important factor to keep in mind is the altitude. Machu Picchu is situated at at 2,430m above sea level and Cusco at an incredible 3,400m. Arriving here from Lima or elsewhere you’ll immediately notice the thin air, with reactions ranging from mild breathlessness to headaches and nausea. Severity varies by person and is usually more pronounced for younger and older travelers. It’s essential that you acclimatize before beginning your trek–a minimum of 3 days is ideal. During that time drink plenty of coca tea (the Inca’s secret remedy for altitude sickness), stay hydrated, avoid alcohol and heavy meals, and generally just go easy on yourself. Be sure to disclose any pre-existing conditions to your trekking operator at the time of booking so that they can be forewarned and prepared. If you have any heart or respiratory conditions it’s particularly important to get your doctor’s clearance before traveling at altitude. Foreign travel always carries a slight risk of picking up new stomach bugs. What’s usually a mild inconvenience in the comfort of a hotel can easily derail your trekking experience when you’re halfway up a mountain. Nausea and diarrhea make it difficult for your body to stay hydrated and absorb sufficient nutrients from your food, which can make you feel weaker and less steady on your feet. Bring whatever medication works best for you, and in the days prior to beginning your trek follow common-sense eating and drinking rules: avoid tap water, raw foods washed in untreated water and anything else that might risk a stomach upset. Book with a credible, well-established operator for the reassurance of a professional, safety-conscious guide who will anticipate any problems before they arise. Aside from the Inca Trail, many trekking routes follow faint or even non-existent trails, sometimes alongside sheer drops with no guardrails. It’s safe provided you heed your guide’s advice and pay attention to where you’re walking. It’s a good idea to use hiking poles here, even if you are typically sure-footed. All food and drink will be provided, including three square meals and plenty of water and energy-dense fruit and snacks to keep you going through the day. Follow your guide’s advice and eat and drink plenty–it’s essential you remain well hydrated. This should go without saying but it’s astonishing how many people travel without proper insurance. The vast majority of claims are for transport delays but still double check that your policy covers trekking and full medical evacuation. Buy your policy in your country of residence before you travel. Don’t assume that your credit card provides comprehensive travel cover–it probably doesn’t! While trekking be honest with yourself and your guide. Don’t suffer in silence. Tell your guide if you’re experiencing extreme shortness of breath or feeling disoriented so action can be taken to relieve your symptoms in good time. Ask about your operator’s emergency procedures and first-aid equipment and training before you book. Horses and mules are not allowed on the Inca Trail but on other routes there should be an “emergency horse” for exhausted or sick trekkers. Upon arrival to Cusco, it’s worth immediately heading to the lower altitudes of the Sacred Valley to acclimatise for a few days before heading back to explore Cusco. After this your body should be well adjusted to begin trekking. Part of the joy of travel is discovering the social context of your destination. It’s important to understand the background of the place you’re visiting, and the impact your presence will inevitably have. This is especially important in a largely indigenous area such as the Cusco region, where a long and often turbulent political and cultural history has reverberations that still echo today. Like much of the Andes, Cusco is a relatively poor region with significant poverty in its rural areas. Livelihoods, food security and basic healthcare and education are all in short supply. In this context a booming tourism industry can have a pronounced impact, both for the good and the bad. On the plus side it means new employment opportunities: more trekking means more demand for porters and guides, as well as hotels, restaurants and other services in the city. The downside is that much of this new employment is low-level service work for international companies, with little wealth remaining in the surrounding area. It can also mean disruption for traditional livelihoods and farming, as people leave rural areas for more lucrative tourism work–causing a further knock-on effect on agricultural production, traditional livelihoods and the fragile economic balance within families and villages. By asking the right questions you can understand–and mitigate–your role in this complex picture. Find out how many locals are employed by your operator, and whether it has any employee-ownership structures. The best tourism businesses are ones that give local people a stake in their success. Ask about responsible recruitment practices; trekking outfitters should have longstanding relationships with the villages they recruit from and should be aware of the impact that their recruitment has on rural communities. Ask to see your operator’s porter welfare policy. There should be a strictly enforced maximum load and they should receive adequate accommodation, food and equipment (especially hiking boots) while on the trail. They should receive fair wages, be paid on time and have full life/accident insurance. Ask about their wildlife and environmental practices. There should be a zero litter policy–all litter should be packed off the trail and toilet waste should be properly buried. The best operators all proactively support community welfare, education and employment projects in the Cusco region. Ask your operator if and how they support and give back to their local community. There’s no doubt that portering is an arduous occupation but, with a good employer and proper welfare policies, it can also be an enjoyable and financially rewarding job. Andean people are tough and purpose built to thrive in a harsh environment–you’ll be amazed by their physical strength and stamina! One of the many highlights of your trek will be getting to know your guide, cook and porters. You’ll be astonished by the minor miracles they work each day to get your gear, equipment and provisions up and down those mountain passes, with camp and a hot meal always ready and waiting for your arrival. Showing your gratitude for their superhuman efforts is an important element to the overall experience. Towards the end of the journey your guide will probably organise a group gathering to give you an opportunity to say thanks and present the support staff with a tip. The suggested range is $8-12 per guide/porter per day. You can pool your tips as a group and they’ll split it out between them. The tip isn’t considered mandatory, especially if service has been below expectations, but it is highly expected and makes a huge impact on the take home pay for a group of extremely dedicated workers. If your trekking operator is involved with community or education projects in the Cusco region they may appreciate gifts or donations to help support their work. Some trekking routes wind their way through Andean communities and you may even spend a night in a local village. They’ll be well accustomed to gringos passing through and you’re bound to catch a friendly smile or two. Many trekkers enjoy bringing gifts to hand out to the local kids–try to think about what would be most beneficial. Avoid teeth-rotting sweets and opt for educational toys, pens, paper, colouring books, etc. Less tasty but much more useful in the long run! Keep in mind that you’re visiting a socially conservative and reserved part of the world. Be mindful of your attire and how much skin you’re revealing (although you’ll usually be too wrapped up to worry about that!). Ask for permission before taking photos of people or their children, show courtesy and respect for your hosts, and generally aim to behave in a way that you’d expect from visitors to your own turf.